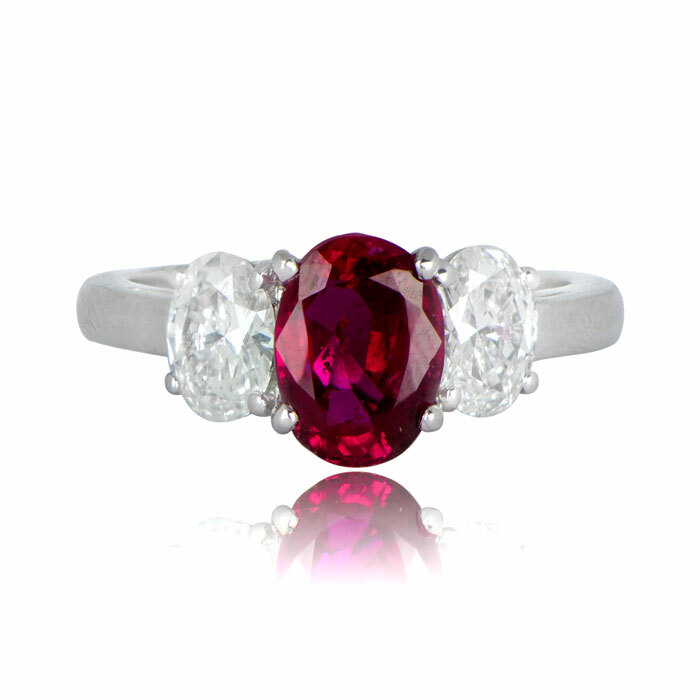 A rare and beautiful Burma Ruby set between two oval cut diamonds, and mounted in a lovely handcrafted platinum mounting. 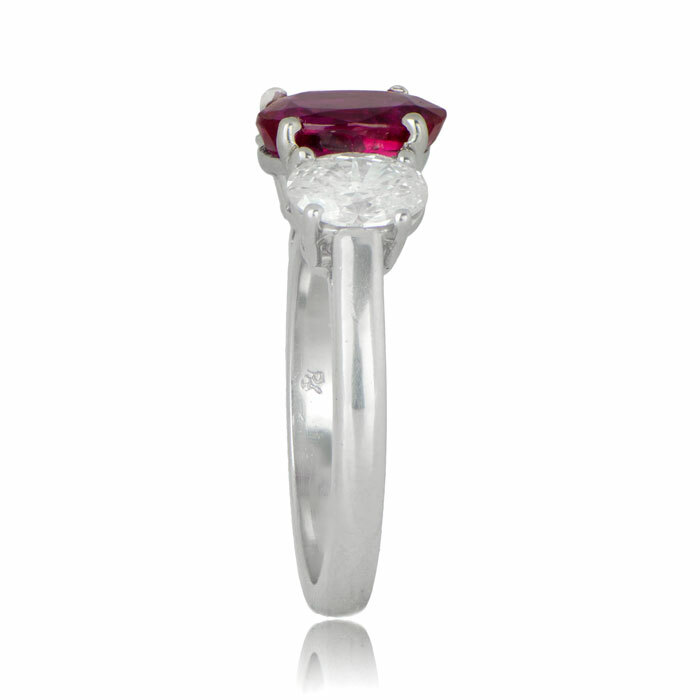 The center 2.44 carat ruby comes from the Mogak Mines in Burma. The color has been verified by the GIA to be pigeon blood red. Pigeon Blood is the industry standard for the highest quality tone, hue, and saturation found within a ruby. The ruby is certified to contain no heat and no oil treatments. 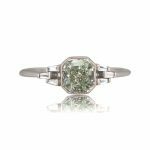 The AGL and GIA certifications are available upon request. 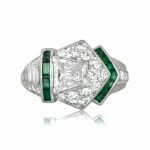 SKU: 11404 Categories: Ruby Engagement Rings, Vintage Cocktail Rings - Contact us and request additional pictures.